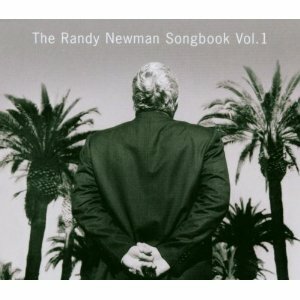 Mike Ragogna: Randy, you have a new album, The Randy Newman Songbook Vol. 2., and I'm wondering why we're not at volume ten by now. 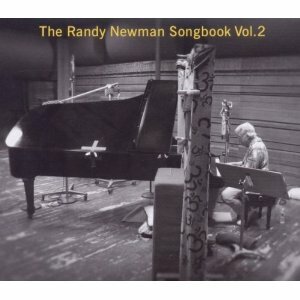 Randy Newman: Well, they just had the idea. I wouldn't have done it -- it's sort of like doing a memorial album while I'm still here, in some ways. MR: On the other hand, your revisits of just you and piano are wonderful. For instance, "Dixie Flyer," which is such a personal song, comes off even more so. How personal is that song? RN: Very. Mostly, I don't write overtly personal stuff. It's not for any reason -- I just go elsewhere for material. That one, specifically, I did on purpose. I wanted to see if I could do that kind of auto-biographical stuff if I wanted to, and I could. In fact, it was easier than the other stuff in a way. MR: What's nice is that you have such great characters in that song, yet they could have been the same characters as in "Take Me Back." RN: Well, thank you. "Take Me Back" is pretty close to reality too. There are a few lies and exaggerations in it, but basically, that happened. I was born in LA, and a week later, my mom took us to New Orleans. MR: Right, you also being part of the Newman dynasty. RN: I guess it is kind of a dynasty. MR: You have three generations now of writers and arrangers. RN: That's right. Joey's doing it, and he's good too. That's Lionel's grandkid. MR: Let's just take a quick run through your history. What was your break like? What is the story behind your beginning your recording career? RN: Well, I was writing songs for other people, and they heard my demos. A&M and Warners made me offers, and because Lenny Waronker -- who I had known since I was one year old -- was at Warner Bros, I went there. And here I am today, on the same label. MR: Well, they were very dedicated to you. I remember not only were your albums advertised on all the inner sleeves of everyone else's albums, but you were like the "loss leader" king, included on all those double album samplers. RN: They made, in my opinion, too big a thing of all that..."We're just giving this crap away." It's true that (Ry) Cooder, Van Dyke (Parks), Captain Beefheart and I weren't selling. We did, though, attract people to the label who did sell, and we all eventually sold. Yeah, they had all that loss leader -- buy one James Taylor, get six Randy Newmans or something like that. MR: Yeah, but it regularly exposed your material and these days, with everyone giving away free downloads, it's almost a return to that "loss leader" mentality. RN: Huh, you know I hadn't thought of that. Did it really expose my material? MR: I think so. Look at those covers and sense of humor that was used. Plus Warners advertised artists mentioned on millions of regular inner sleeves. And a lot of people owned those samplers. RN: You know, til this day I thought it was just something that was annoying, but hell, I have been asked about it, so maybe it did do something for me. You see all these people who say, "I'll never do interviews" or "I'll never do any promotional thing." But to get noticed at all, you have to make some noise and here I am. MR: And I appreciate your time, Randy. You're one of my heroes and I'm very lucky to have you on the line. So, your first few albums that contain much of the material from your Songbooks are essentials. In Songbook Vol. 2, you're getting deeper into your catalog by visiting would-be classics such as "Baltimore." I've always loved that record. RN: People really like it and it surprised me how much. I like the song myself, but it's a lot of people's favorite of everything that's on there. RN: ...or the chords from "House Of The Rising Sun." MR: (laughs) Or the chords from "House Of The Rising Sun," which played topically into what you were trying to communicate. RN: It did. I didn't think about it -- those are chord changes I've written a few songs with. MR: I'm also a big fan of your arranging, and love how you go right to the chromatic. What motivates that? Does that involve who your influences are? RN: Maybe. I guess it's my style to do that -- suspensions and that kind of stuff. I always think there's room to move pop stuff closer to 20th century music. It started out with like three chords, and The Beatles got fairly complex...even Megadeth is kind of fancy, harmonically. A band like Oasis was sort of pushing it and trying to use different chords but then they would get into things that they couldn't get out of. I'll stop talking because I'm a tremendous bore on the subject, but there is room to move on, and I hope I do (laughs). MR: You could never be boring, sir. But speaking of older albums, let's go back to Good Old Boys, which I think frightened some people because of the song "Rednecks." But on the other hand, that was one of the most talked about albums of the year, and to many in the industry, it was revered like it was. Personally, I think it could be called a perfect album. RN: Well, thank you. At least it said stuff, and I was happy with it myself. MR: At the time of its release, you obviously were aware of the press' and everybody else's reaction to it. But how did you react to the reactions? RN: Both Sail Away and Good Old Boys were critically successful. I don't read stuff, but it gets to me later -- reviews and things like that -- and it was a big deal. "Rednecks" always made me nervous to play, but I'm glad I wrote it and I continue to play it. It's just that the language is so rough. MR: On the other hand, you had a hit with "Short People," which was less "in your face" vocabulary-wise, but it also pushed the envelope of what was acceptable in pop music at the time. RN: Well, it did. It just reached more people than I usually reach. So, they weren't used to that kind of a thing, where words don't mean quite what they say. People weren't used to a narrator or singer of songs who you can't believe and don't trust and you don't like. It's an odd style I took up but it's natural to me and I don't think I could change it if I wanted to. MR: I loved your response to the "Short People" haters, when you went on Saturday Night Live and you did the "Bronx cheer." MR: So, you have the song "Mikey's" in which the background instruments and arrangement contrasts so heavily with the guy telling the story. The poor guy is tortured, he can't get away from it, as can't the rest of us. Beautiful. RN: There are a couple of them like that, where it's a forty-ish kind of guy -- a surfer maybe, or in San Francisco's case, maybe it's a North Beach guy -- where things change out from under him and he just can't believe it or come to terms with it. No one mentions that and I appreciate that you do. I like those very much, myself. MR: And there's "My Life Is Good." What did Bruce Springsteen say to you after you wrote him into the story? RN: I saw him at some sort of awards thing or a charity function or something, and he said, "Oh, I like that song you wrote about me." I said, "Oh, good." That was it. MR: Did he thank you for taking his place for a while? RN: No, but he seems comfortable with it all the times that I've seen him, if you can be fine being that deified and worshipped. He seems fine. MR: Deified, yet still a normal guy. RN: Yeah and I think he is. It's hard to believe, but he might be. MR: Let's get to "Kingfish" and "Birmingham," that hint at your grasp of the political and historical. RN: I kind of love the country and the names and geography. For me, I wrote that song because I had to explain "Rednecks" better. So, I gave the same guy another couple songs, "Marie" and "Birmingham." Birmingham, more so then than now, had a reputation of being a miserable place, and I liked the guy loving where he was from, that's all. He's celebrating and he really sticks out and I like that. MR: There are times when it seems like you are almost a journalist, or in the very least, a great observer of life and humans. RN: That's what interests me. I hope I'm good at it. MR: Who are some of your favorite characters that you've written about? RN: I like the guy in "Take Me Back," who just under the surface is so pissed off at all that's happened to him. MR: "Where is my angry young man!" RN: (laughs) Yeah, my dad said that once, when I was in the jail briefly. MR: What was that about? RN: Drinking. I was fifteen and stupid. MR: Now, you sang "Political Science" on The Colbert Report, right? MR: What was the Stephen Colbert/Randy Newman summit like? RN: It was fun. He was relentlessly attacking me for being an armchair liberal and all that stuff, and I admitted to it. MR: What's great is that was just a couple of days after North Korea tested an underground nuke, right? RN: Yeah, I think so. MR: His comment after that was, "Washington, I hope you're listening" or something. RN: He's a funny fella. It's amazing they had him at the correspondent's dinner they have in Washington -- the Republicans. MR: I know, and especially during those years. Were they out of their minds? RN: I don't know. They didn't know it was a joke? MR: I don't think they did, especially after seeing everybody's faces frozen in that tense smile-sneer thing. MR: Let's talk about touring. I saw you in New York as you were promoting the Bad Love album. It was just you and piano, and it was just great. RN: Yeah, that's what I do ninety percent of the time -- I've got occasional orchestra dates. MR: When you perform live with just a piano -- and I guess the same can be said about how you approached your new album -- you always work enough of the string parts and other musical elements of the original recording into the piano arrangement so that it seems like that's all you need. RN: I hope so. I like those shows better. I've worked with a band, and it's nice to have someone to travel around with, but I didn't like it as well on stage. I can do what I want on there now ... I hope I'm not short changing bands. I think I'll do some shows with a band before I kick off. MR: Another of your great albums is Trouble In Paradise that had so many incredible songs on it. "I Love L.A." also had that terrific video. RN: Yeah, and ever since, they use some of the images we had in there -- the palm trees and Beverly Drive. MR: That was the first video for VH1, right? MR: I think it launched VH1, yeah. RN: I'll be damned. Who knew? Lady Gaga was just a child and I started her industry. MR: What do you think of the music scene right now? When you look at Lady Gaga, and similar acts, what are your thoughts? RN: Well, I think she's great. I love the fashion jokes she makes -- with her shoulder blade sticking out like a model with anorexia -- and I like her songs. The scene in general...I hear stuff that's good. I couldn't name a lot of names, but when I listen to satellite stations with new music, they'll play three or four things in a row that are good. That's pretty amazing because it's not always the case. MR: It seems like this latest proliferation has the biggest spread of talent in every area. Do you have any advice for new artists? RN: My advice is sort of just to show up for work. I haven't done it myself as much as I should have. For writers, show up every day for it. A lot of people love it so much, they don't have trouble with work habits, so I'm advising some people that don't need this advice. But if you're doing something, show up everyday, and something good might happen--it's not going to happen if you don't show up. RN: Sounds simple, but for me it's important. Also, keep an open mind about music. Music people tend to be such snobs sometimes -- serious musicians won't listen to rock 'n' roll, and rock 'n' roll has to be a certain way -- don't start hating stuff right from the top. MR: By the way, you looked very happy when you won that second Academy Award recently. RN: Yeah, I was happy -- more so than I thought. RN: Slightly. The year before, I was nominated for a couple of things that I knew wouldn't win. But this time, I thought I could have won, and I did. MR: With Avalon and similar projects, I would always think you were a shoe in only to have it snatched away. I was so happy for you when you won. MR: Randy, thank you very much for taking the time to talk with me today. You're a great guy. RN: Yeah, absolutely. Good talking to you. Hey, My Morning Jacket fans! Check this out regarding tonight's "Unstaged" performance May 31st at 9:00pm at Louisville's Palace Theater. "Unstaged: An Original Series from American Express," in partnership with VEVO and YouTube, featuring music sensation My Morning Jacket, directed by Todd Haynes. Performance coincides with their highly anticipated six full-length album, CIRCUITAL, arriving in stores on May 31. The show represents the fifth installment within the innovative music platform Unstaged: An Original Series from American Express, which launched in the summer of 2010 in partnership with VEVO and YouTube, and has featured music sensations Arcade Fire directed by Terry Gilliam, John Legend & The Roots directed by Spike Lee, Sugarland directed by Kenny Ortega, and Duran Duran directed by David Lynch. Bringing both the in-concert and at-home viewing experiences to entirely new heights, "Unstaged" features some of the music industry's most breakthrough artists playing at landmark venues across the country, while tapping some of today's most influential filmmakers to direct the live-streams and using digital and social media to connect the online audience to the live shows in unexpected ways.